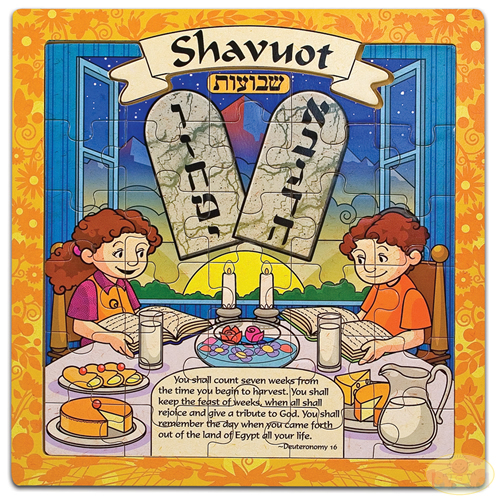 I’m away from sundown tonight until nightfall Thursday Night in observance of the Jewish holiday of Shavuot (also called Shavuos), which is “Pentecost” in English. I know I haven’t posted much these last few months because of other commitments and so on. But I’m going to try to post something new every weekday from now on, because I’ve been neglectful of it, I miss it, and I miss hearing from all of you on the things I write. There are too many important things going on in the world to skip comment. While I’m away for the holiday, I have some things I’ve prepared to go up in my absence. I think you’ll find them of interest, including my recent interaction with a cowardly CNN host who walked out on me because he couldn’t handle my answers to his ignorant questions on Islam and jihad. In the meantime, to learn more about Shavuot, one of the three Jewish harvest festivals, read here. This is the holiday on which we read the beautiful scroll of Ruth, stay up all night to learn the Torah, and eat dairy (a lot of people make and have cheesecake for dessert), among other things. As I’ve noted in the past, because Judaism is not riddled with absurd feminism (or at least, in its purest form, shouldn’t be), women aren’t required to learn all night, though they can. Me, taking my non-obligations and non-feminism, seriously, I won’t be doing so. See ya Thursday night, but in the meantime stay tune. I think you’ll like what I have in store in my absence. Happy Shavuot Debbie!I am very happy to hear you will be trying to post something each weekday. I have been reading many of your older posts and have learned so much through them.Can’t wait to hear about the nitwit CNN host!Look forward to your return. It is worth remarking that Shavuot is a major holiday in Israel. Shops and offices close for the day. Always took me by surprise. In the Diaspora it is not really perceived as a major holiday. As I was placing an order to B & H Photo this morning I received an “Out of Office” reply from the Government Sales Manager. I Googled to see why the store was closed until nightfall Thursday as I knew it had to be a Holiday. Sure enough! Great store, great people! Dear Debbie hi wishing you a great Jewish holiday to you and your dear family!Jewish holiday are so nice and i have alot of respect for it! very sincerlly yours Tirdad Gharib who loves The USA America and who loves Israel!